Miles K. Davis is the first black educator to become president of Linfield College in McMinnville, Oregon. Davis was born in Philadelphia, Pennsylvania in 1960. He was raised in a mixed religious background where his father was Muslim and his mother was Christian. Being born into a poor family, Davis was motivated to invest time in education. Davis has an extensive educational background. He received his Bachelor in Communications from Duquesne University in 1981. He graduated first in class earning his master’s degree in human resource development from Bowie State University in Maryland in 1982. In 2002, he completed his Ph.D. in Organizational Behavior and Management from George Washington University. With his continuous desire to obtain knowledge Davis also enrolled in MDP program at Harvard University in 2012. In his early career Miles K. Davis participated for extended periods of time in a successful overseas program that allowed local populations to work in collaboration with U.S. Armed Forces stationed in their countries. This work took him to a number of nations including the Seychelles, South Korea, Thailand, the Philippines, Japan, Oman, Somalia and Saudi Arabia. In 2001, Davis began his career in educational administration at Shenandoah University in Winchester, Virginia. He was chairman of management science department at the Harry F. Byrd, Jr. School of Business and became the founding director of its Institute for Entrepreneurship. In 2012, he was named dean of the school. Davis has also worked as a managing consultant and principal for EDS Corporation and has consulted for Boeing Corporation and The United States Mint. On January 31st, 2018 Linfield College Board of Trustees announced Dr. Miles K. Davis, 57, will become a president of Linfield College. 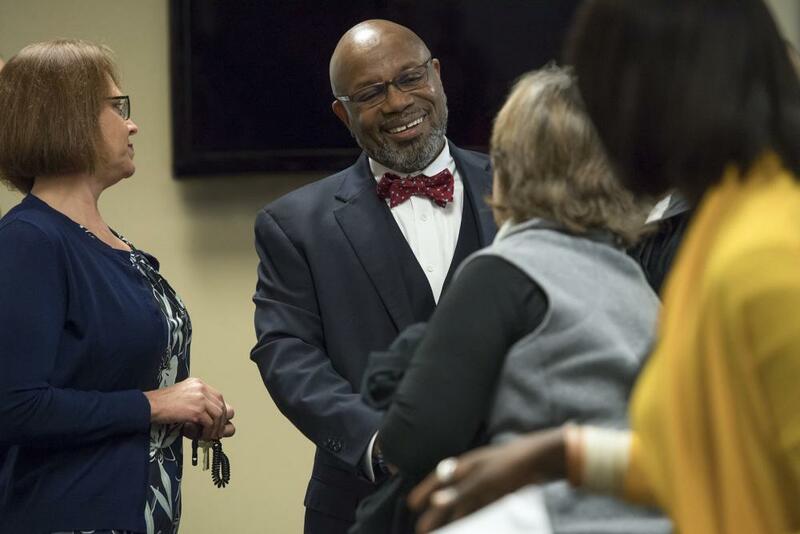 Davis is the first college president to come out of The PhD Project, a network that helps members of underrepresented communities attain doctorates and become leader in higher education. Dr. Davis received numerous awards and honors such as Outstanding Teaching Award, The Wilkins Award, Healing the Heart of Diversity Award, and Board of Trustees Resolution of Application honor. He is also the author of many journal articles and books. Davis published a book titled OD and Change Management Consultants in 2009. He is a member of the Society of Leadership Fellows at St. George’s House, an organization based out of Windsor Castle in the United Kingdom that brings together world leaders in a variety of fields to analyze contemporary issues. Elizabeth Stoeger, “First of two Linfield presidential candidates to tour campus”, thelinfieldreview.com, December 4, 2017 https://thelinfieldreview.com/20904/archive/news/one-of-five-linfield-presidential-candidates-to-tour-campus/; Miles K. Davis, “Resume”, su.edu, https://www.su.edu/sacs/files/2015/01/Copy-of-Davis-Miles-CV.pdf; Author Unknown, “Dr. Miles K. Davis to Be First African-American President of Linfield College,” colormagazine.com, February 5, 2018, https://colormagazine.com/dr-miles-k-davis-first-african-american-president-linfield-college/; Christian Feuerstein, “Miles K. Davis named 20th president of Linfield College,” linfield.edu, January 31, 2018, https://www.linfield.edu/linfield-news/miles-k-davis-20th-president-of-linfield/; Victoria Korankye, “Dr. Miles Davis,” youtube.com, December 8, 2012, https://www.youtube.com/watch?v=NDOxHEMMWXA&t=511s.